Offering family and business users a car to transport seven adults in comfort together with their luggage, the SsangYong Turismo is almost without rival. 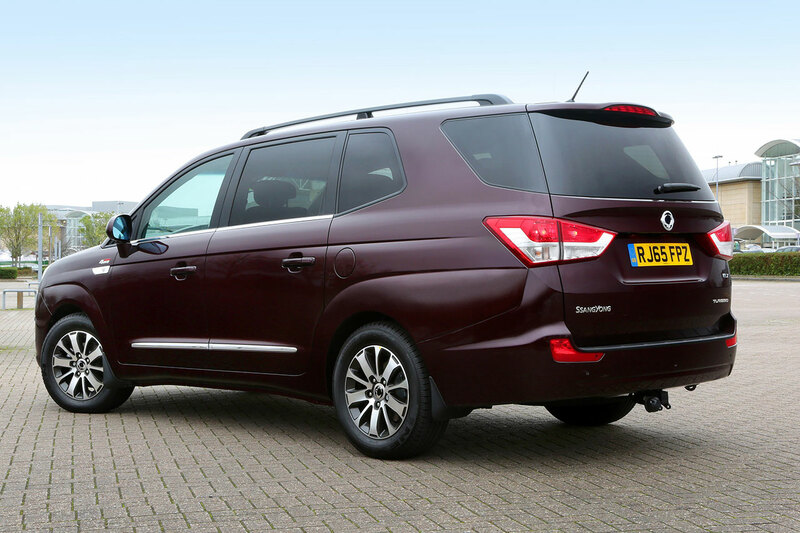 At over 5 metres long and with a 3 metre wheelbase, the car is larger than a standard sized MPV people carrier, and is now further enhanced for 2016 with the addition of an upgraded 2.2 litre Euro 6 diesel engine. The Turismo also now offers the choice of a 6-speed manual transmission or new Mercedes-Benz 7-speed automatic. The newly developed e-XDi220 diesel engine meets the demand for a more powerful performance and lower CO2 emissions at the same time. Maximum power is increased to 178ps and torque to 400Nm - up by 15% and 11% respectively over the previous Euro 5 diesel 2.0 litre engine. Maximum torque is delivered from a low of 1,400rpm and maintained through a wide range up to 2,800rpm for smooth, progressive driving from the start. Big strides have also been made with CO2 emissions which have been reduced to 189g/km, down from 199g/km on the previous 4x2 manual transmission model, while fuel economy is also improved and now up to 39.2 mpg (Combined cycle) compared with 37.2mpg over the model it replaces. Designed to appeal as family, leisure and business transportation, the new car blends multi-role flexibility with great ride comfort and the appointments and equipment levels of a luxury saloon. Thanks to its 3,000mm wheelbase, the car provides a huge interior space where seven adults can travel in supreme comfort with their luggage loaded in the back, without having to compromise on passenger accommodation. There are three rows of seats as well as a large load space which can be further increased by removing the third row completely. This gives a massive load carrying capability of between 875 litres with seven adults seated, through to two adults and 3,146 litres of load space. While rear wheel drive features on the SE and EX, the top of the range ELX includes selectable 4x4 with low ratio as standard. This makes the Turismo ELX a car you can rely on, no matter what the winter throws at you, and is especially safe and practical whether towing a caravan, horsebox or boat trailer, or when driving on snow and ice. As with other Turismo models the ELX has an impressive 2 tonne towing capability. The new Turismo utilises double wishbone front suspension and rear independent multi-link suspension for executive saloon style ride quality. This set-up offers a quiet and comfortable driving environment with firm body control, a flat ride and optimum stability regardless of the road conditions. 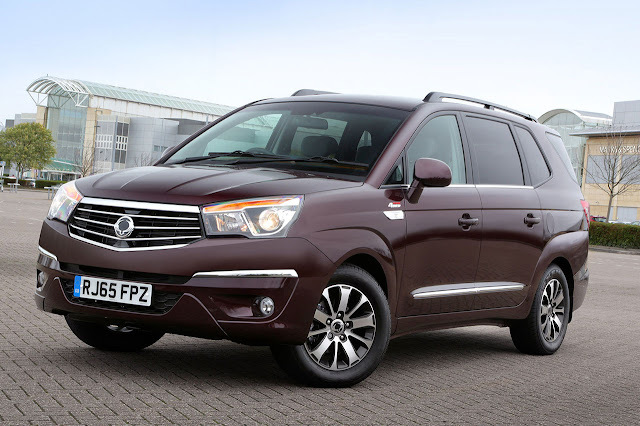 The new 2016 Turismo 2.2 is now available through SsangYong dealers. 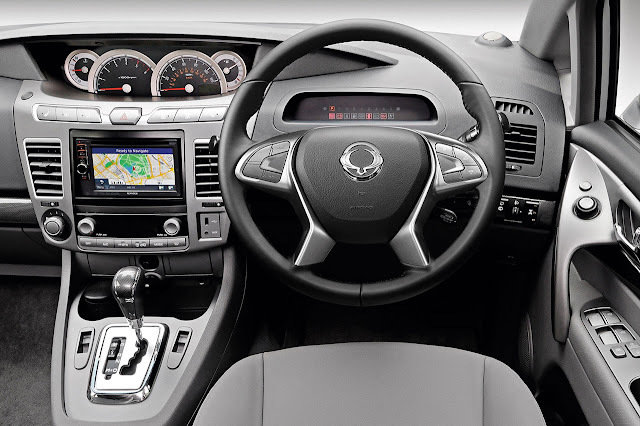 All models in the SsangYong range are covered by a best-in-class 5 year limitless mileage warranty. Designed to be totally transparent and give customers complete peace of mind, ‘limitless’ means just that: not a maximum mileage condition that some brands impose in their small print. All the major mechanical components are covered including the engine and drivetrain,wheel bearings, suspension joints and bushes, steering joints, shock absorbers and even the audio system. Wearable components such as clutch friction plates and brake pads which could have their life reduced by poor driving are covered for one year or 12,500 miles, and the battery and paintwork for three years. SsangYong cars are manufactured in South Korea by SsangYong Motor, which is 73 per cent owned by the Indian engineering conglomerate Mahindra & Mahindra, and imported into the UK by SsangYong Motor UK. Established in 1954 it is Korea's oldest vehicle manufacturer and only 4x4 and SUV specialist producer. There are some 60 SsangYong dealers covering England, Northern Ireland, Scotland and Wales, with new locations being added to the network all the time.